It’s official! It has taken almost six months to fully make the move, but we did it! Since the creation of My Mosaic Review, we have grown tremendously! So much so that I needed to move on to a bigger and better blogging platform. I’m leaving my content here for now, but moving forward all posts will be made to PhotoMosaic.org. Be sure to follow me there for all my photo mosaic tips, tutorials, software, apps, and insight for design and creation. I need to put aside our photo mosaic talk for this post because this is just an amazing story that needs to be shared. My New York readers might know him from his work on sidewalks, stoops, and planters; the Mosaic Man's work is widely acclaimed. After serving in Vietnam, Jim Power briefly worked in construction and lived on the streets, making his first mosaic pole in 1988. He was then coined Mosaic Man by the Village Voice. 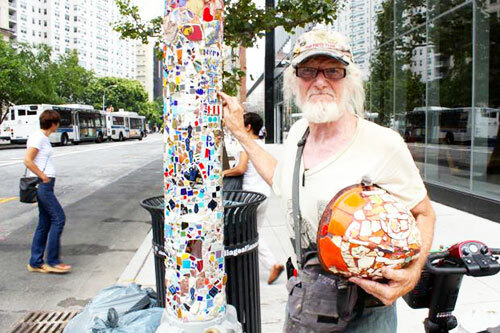 He's since designed seven mosaic light poles for his Astor Place community. Are you familiar with the proverb, “It takes a village to raise a child”? I feel like this can apply to many walks of life; a strong community is important and essential. That’s part of the reason I love huge photo mosaic projects. I love the teambuilding and community support that takes place when creating gigantic works of art! 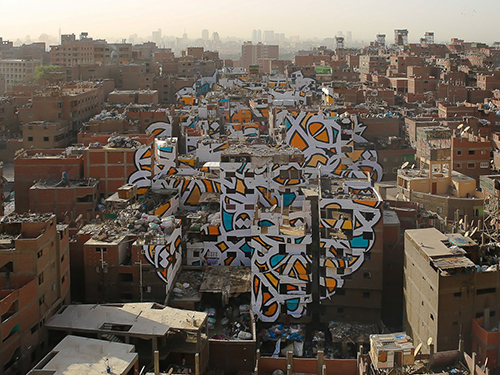 I was recently reading about the work of eL Seed, a French-Tunisian street artist, who created a mosaic mural on a number of buildings in Manshiyat Naser, a suburb of Cairo. 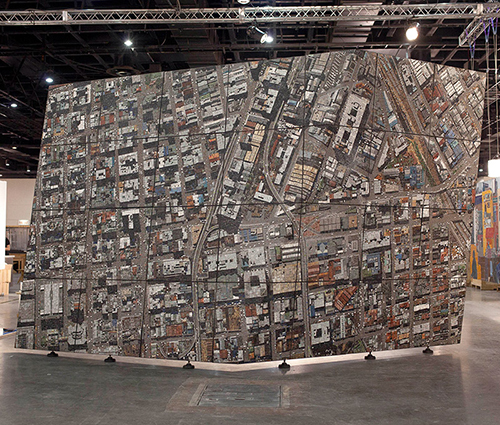 I’m a sucker for massive photo mosaic projects, especially when world records are involved. 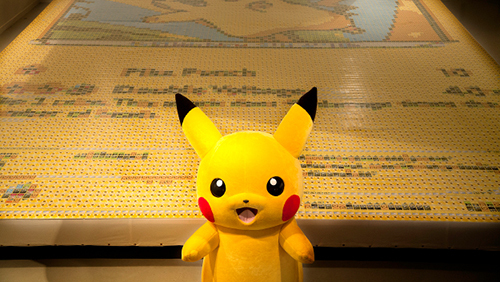 My most recent discovery is no small feat: British artist Quentin Devine teamed up with The Pokémon Company International to set the new Guinness World Record for largest trading card mosaic in honor of Pokémon’s 20th anniversary! First and foremost, let me say that I was deeply saddened to hear of David Bowie’s passing last week. I’ve been a longtime fan, ever since I saw Labyrinth as a child – what a wonderfully wild movie! His music has been a big part of my life. So when he passed, I spent quite a bit of time reading articles and tributes, as well as seeking out what other artists had to say about Bowie’s impact on the world. Naturally, I was specifically looking for mosaic tributes. 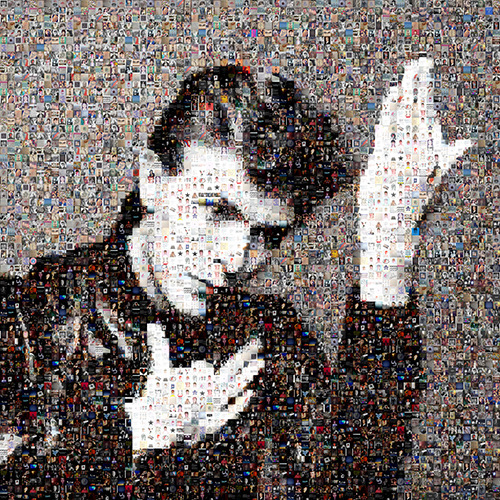 Fortunately, that’s exactly what I found: The David Bowie Tribute Photo Mosaic. 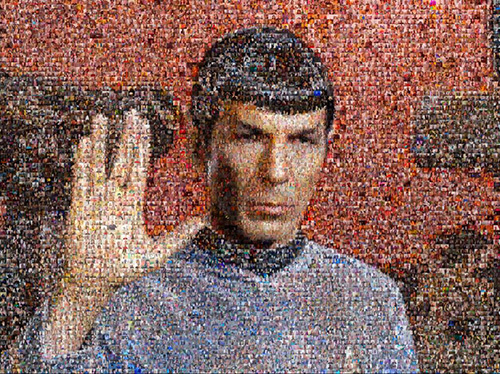 I've written about so many photo mosaic projects and artists throughout the years that it feels good to stop and take a look back at some favorites. I regret not doing this at the end of 2014, so I'm going to base this blog post around my favorite mosaic and photo mosaic projects from the past two years. This mosaic was created by artist Gerhard Marx and Spier Architectural Arts. 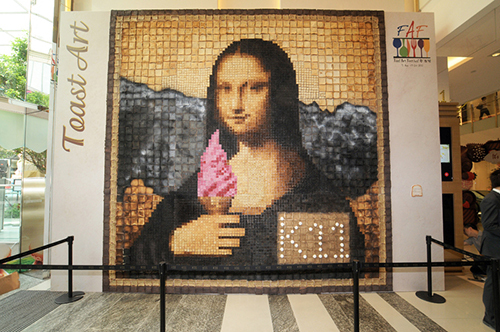 Spanning 56 tiles and weighing in at nearly three tons - this mosaic is massive! I just love the detail in this one. The use of glass, stone, tile, and marble have a very authentic urban feel. The shadows are incredible, giving the mosaic some beautiful depth as well. My apologies for veering off the photo mosaic path here, but I just had to share this. I discovered artist Alexey Steshak through his own submission on Bored Panda where he documented the creation of a stunningly simple mosaic. 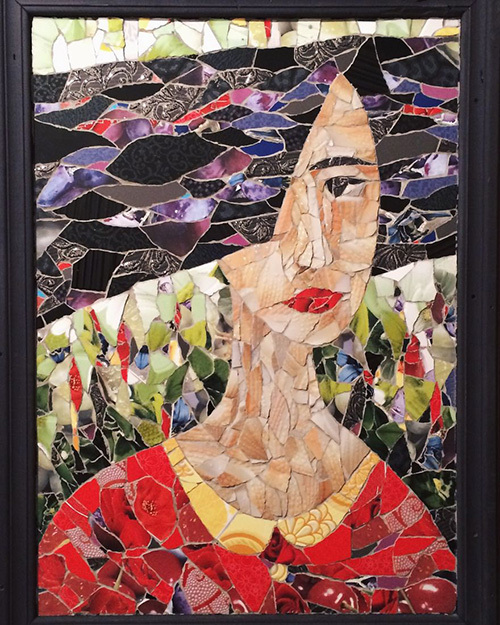 Using everyday ceramic tile, he hand-cuts each piece of tile to suit his source image. As you can see in the photos, he simply sketches his source idea, then adheres the tiles directly to the wall. My apologies for the late post - things have been hectic! This post will be short, but let me tell you right off the bat that this photo mosaic is one for the history books! "You've got to ask yourself one question. Do I feel lucky? Well, do ya, punk?" I'm a big fan of Clint Eastwood's entire body of work. When I was young (definitely too young, haha) my dad let me watch Dirty Harry with him and I was instantly hooked. Eastwood's attitude just seemed to jump right off the screen! 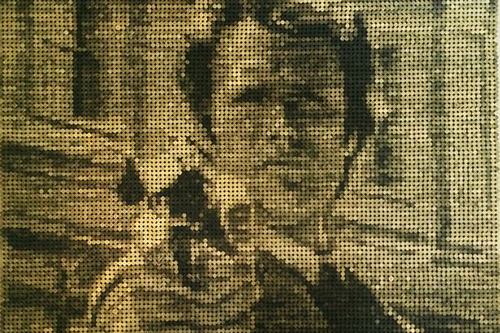 I was thinking of making my own photo mosaic tribute, but after a quick search I discovered an Eastwood mosaic in a class all its own: a mosaic made of bullet cases. Can you think of a more fitting tribute to Eastwood's career? Mother's Day is just around the corner! It's a holiday that holds significant weight with my family, so I'm always on the hunt for a bigger and better gift than the year prior. I don't mean bigger and better in a physical or monetary sense, but in a thoughtful, symbolic sort of way. This is where my photo mosaic obsession comes into play. 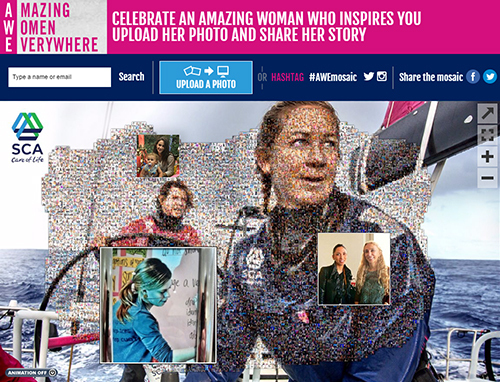 While searching for creative Mother's Day ideas, I found the Amazing Women Everywhere Mosaic, an online photo mosaic where visitors can share a photo and story of an important woman in their lives.